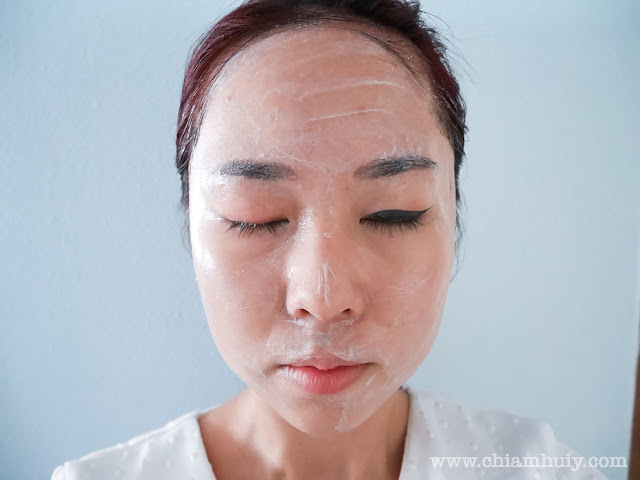 Many people tell me one of the most important steps in your skincare regime is cleansing. I strongly believe in this because if you don't cleanse your skin well, no good skincare product will ever be useful because your skin is so clogged with dirt and impurities, the products just can't be absorbed. Thanks for Sephora.sg, I've put up a post to share with you some of the popular facial cleansers and cleansing devices great for everyday cleansing purposes. From the revolutionary game changers like Foreo to Korean brand Dr Jart+, Sephora.sg sure has a large range of cleansers for you to pick! Guess it's time to... #CleanUpYourAct! The first thing about this cleanser is definitely the bowl-shape pump. 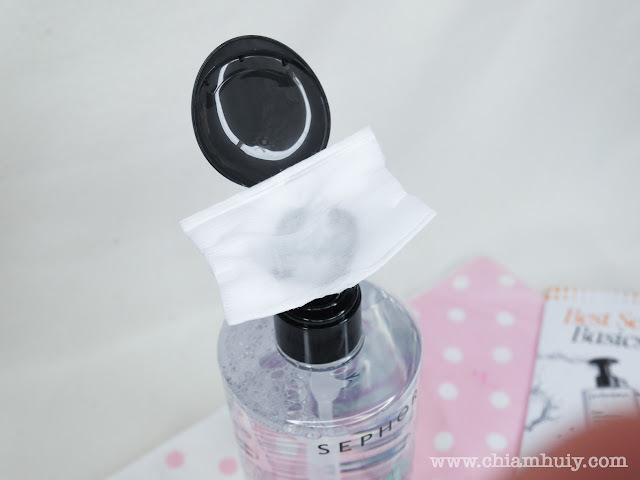 Basically it's similar to those you often see at nail salon where you can just place a cotton pad on top and press down to dispense the cleansing water. Unlike some micellar water that I've used, I find this cleansing water gentler and in some sense, smoother? Felt like this cleansing water is slightly, really slightly oily so it doesn't strip off oil from your skin while removing the make up. 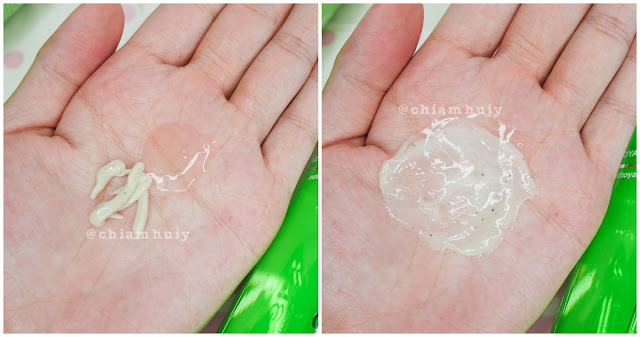 No wonder this product is said to moisturise the skin while cleansing it. Besides, this cleansing water removes makeup pretty well! It only costs S$28, I would say it's a good buy. 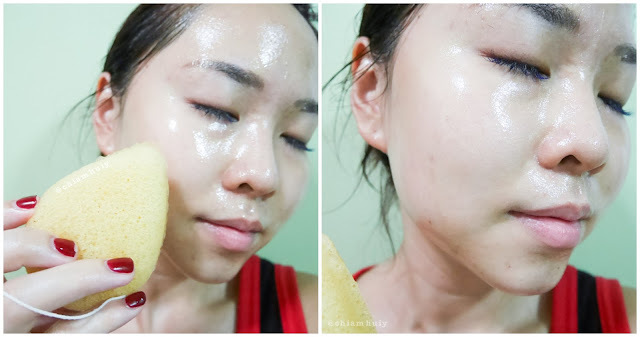 Wanting something that exfoliates your skin while cleansing it? Then try this exfoliate scrub which contains cranberry enzymes, great for unclogging the pores and minimizing them. This product is recommended to use 2-4 times a week only. This award-winning cleanser protects the skin by reducing free radical damage. I find the scrubs a little too harsh on sensitive skin like mine, so what I will suggest is to add a little bit more water and be extra delicate while rubbing this against your skin. Other than that, this scrub has a higher content of scrubbing beads so it really act as a good exfoliator. This product is available in-stores only. Just as I was saying about sensitive skin, this soft cleansing milk will be great for all sensitive skins out there. estelle & thild is an organic skincare line all the way from Stockholm. I've been there once and I know how harsh the cold weather can be, hence anything gentle is really much needed. 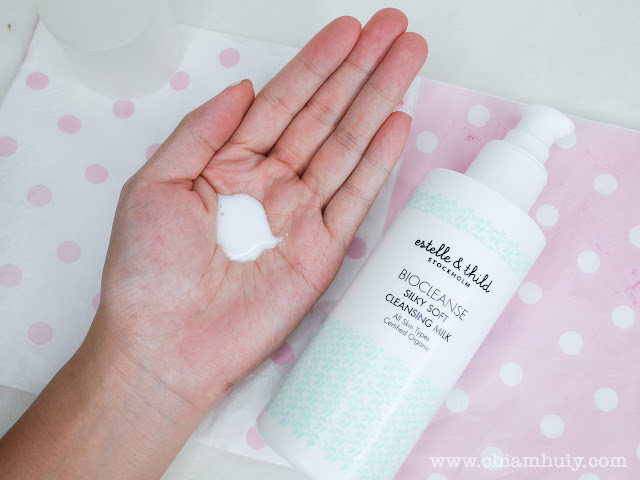 The silky soft cleansing milk contains soothing botanicals such as Black Elderflower and Aloe Vera to soothe sensitive skin, especially when we all know sensitive skin can flare up while we remove the make up. As seen in the photo below, the cleansing milk does do a good job in removing my make up, even waterproof liquid eyeliner! But the only bad thing is it stings my eyes when I once accidentally open it. :( Other than that, it does feel really gentle on the skin. You might think this clay mask is $37 for one tube, but it's actually for all three tubes, which makes it very affordable and value for money. 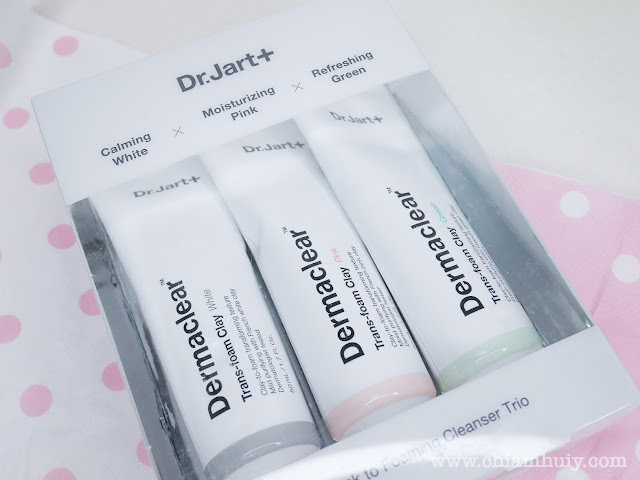 I once purchased a Dr Jart+ bb cream for my friend when I was in Korea because she told me this brand is really good. Now I finally get to try this! 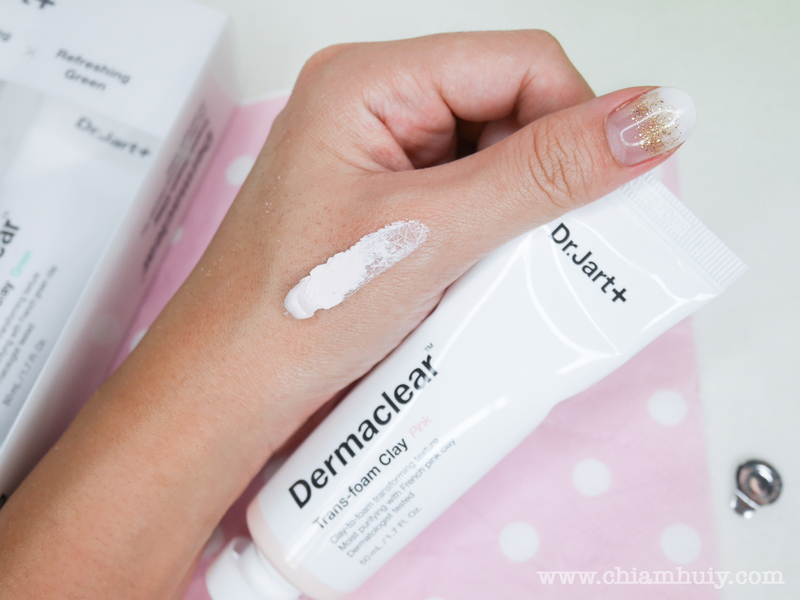 These Dermaclear Trans-Foam Clay is made of french clay, and it acts as a cleanser, clay mask and cleansing foam. 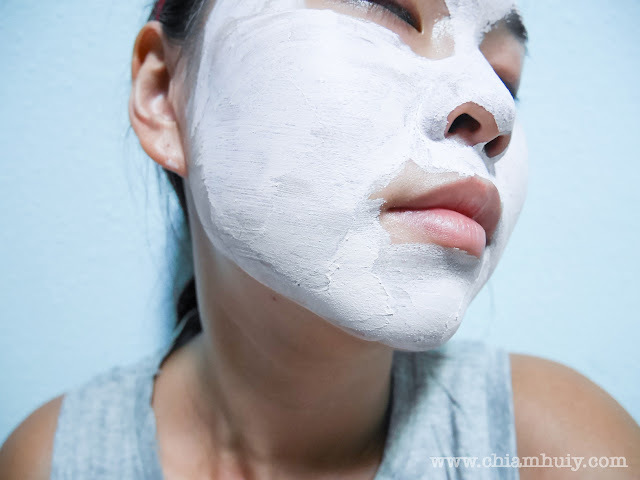 Basically, it applies as a clay mask, then allow it to dry because adding water to lather into cleansing foam. I thought this product is ingenious! 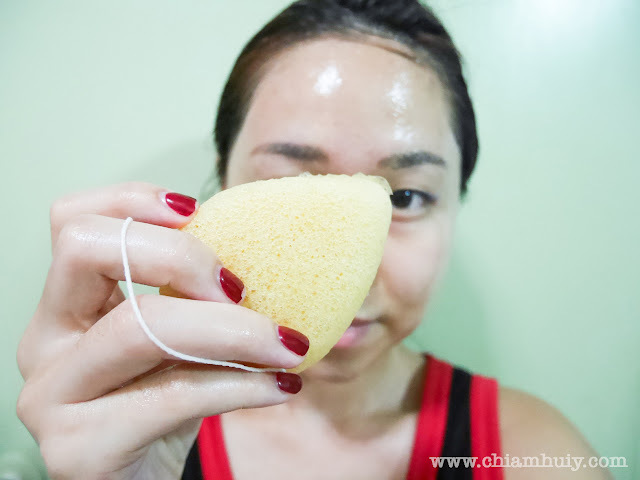 A good way for all lazy ladies who don't have the time to apply clay mask after cleansing their faces. With this, you just have to apply before going into the showers, then wash off while you're IN the shower! When the product dries up, it doesn't feel too tight on my skin. Before I even get this product, I am already LOVING IT. I had one previously and I placed it at my boyfriend's place, so this become my nightly routine whenever I'm at his place, or whenever I needed to wash my face to give myself the refreshing boost again. 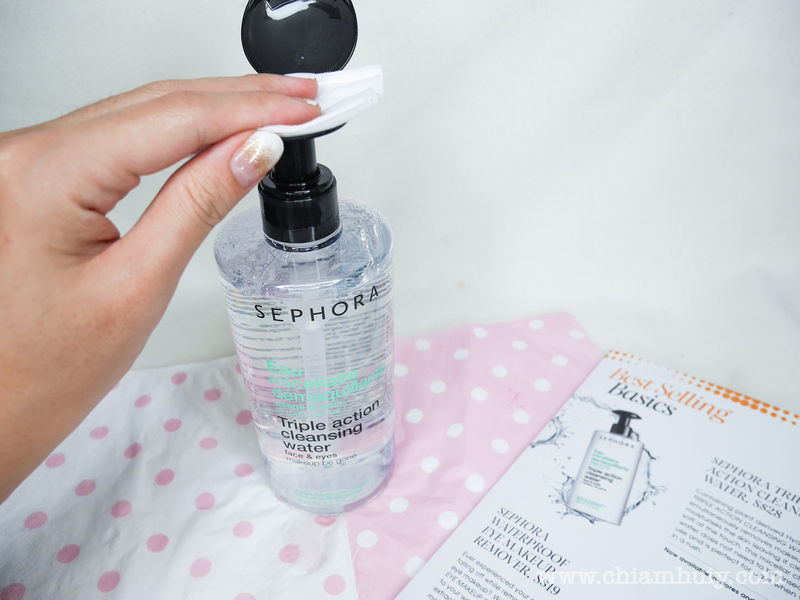 Notice this cleanser comes with two pumps: one for the mud cleanser, and the other for cleansing oil. You get to decide how much amount to mix together for you desired cleanser. It is very gentle, probably due to the oil component in it. This dual cleanser contains bio-mineral green clay to detoxify skin while ceramides and lipids provide a 3D repair for healthy glow. The mud cleanser also contains a few mud beads while I felt was great to at the same time exfoliate my skin while cleansing. 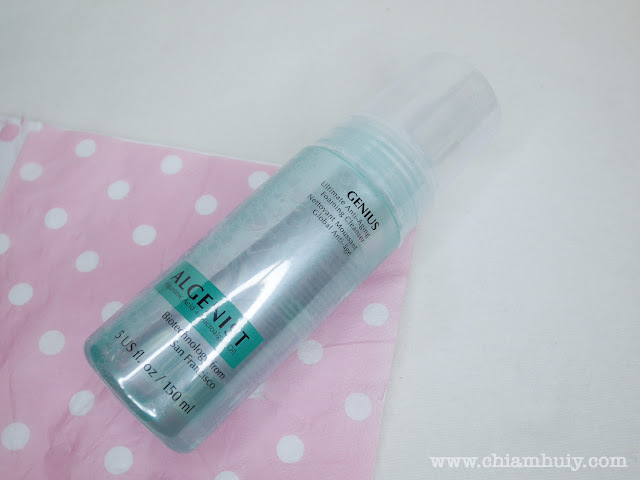 For anti-aging efforts, try this Anti-Aging Foaming Cleanser from Algenist. 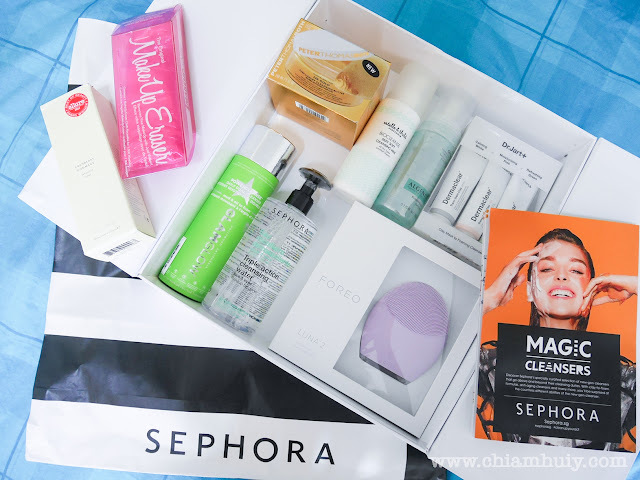 To be honest, I've not heard of this brand before but thankfully Sephora carries so many brands, you get to try many new products along the way. This foaming cleanser contains Alguronic Acid and Microalgae oil to minimise appearance of fine lines. Unfortunately I wouldn't be able to try this out, but i'm surely giving my mum this for a try! 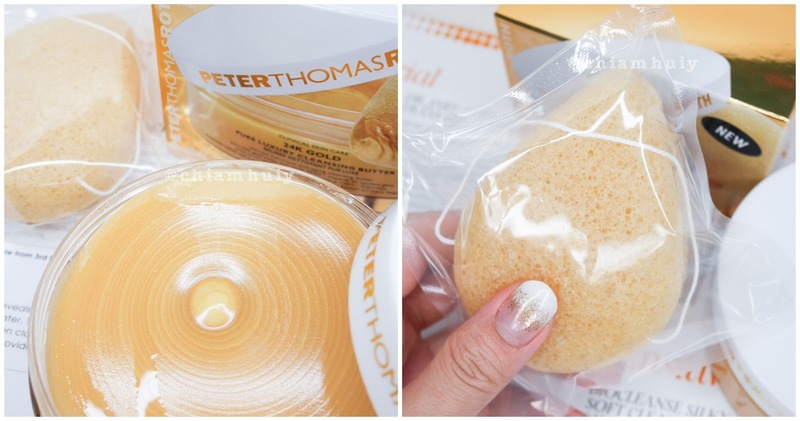 Another anti-aging cleansers that has that wow factor as usual is the Peter Thomas Roth 24k Gold Cleansing Butter. 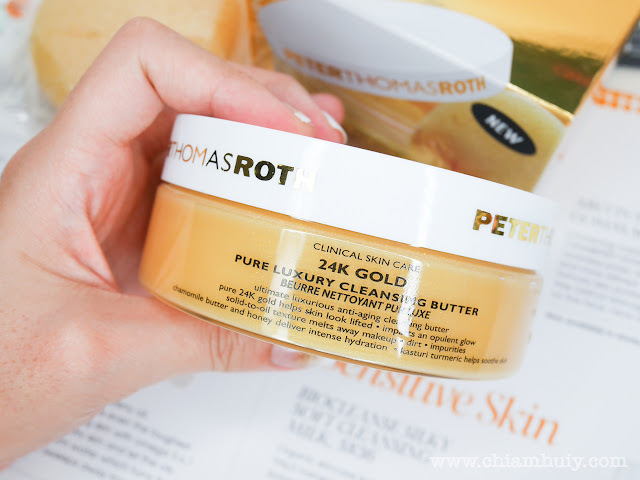 Clearly, the 24K Gold elements found in this cleansing butter says so much about this product. Many times we found gold elements in beauty products which is said to minimize collagen depletion and boost elasticity. While we keep this statement in view, I do like how the way this cleansing butter works. It feels (no pun intended), very buttery and smooth on the skin. And because often times buttery product may leave an oily residue, try using the accompanying Konjac sponge to gently exfoliate and wash away the cleansing butter, leaving your skin supple and moisturised. This product is great for dry skin as it contains chamomile butter and honey, obviously for hydrating purposes. Again before I even get this product, I was already enabled by my dear friends Kymm and Alene to get this cleansing device! 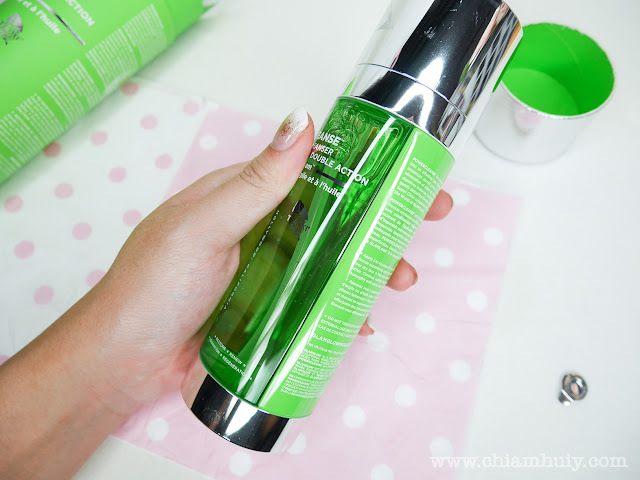 Kymm especially has used this product for quite some time and she LOVES how good is the cleansing efficacy. Because it's made of silicon, it's also much more hygienic and gentle on the skin. 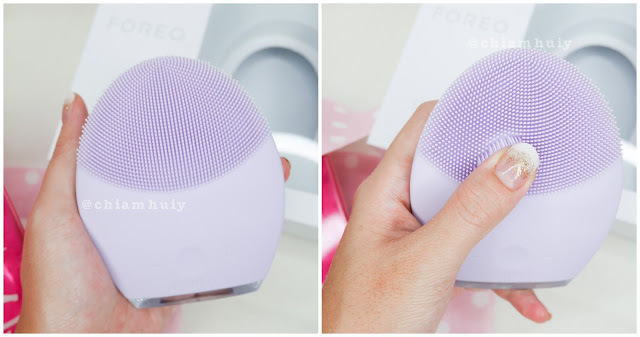 The FOREO I have is lavendar in color, which is suited for sensitive skin. The others are: Light blue for combination skin, Teal for oily skin and Pearl Pink for normal skin. I've stopped using my clarisonic for quite a while because the lazy bug got hold of me. 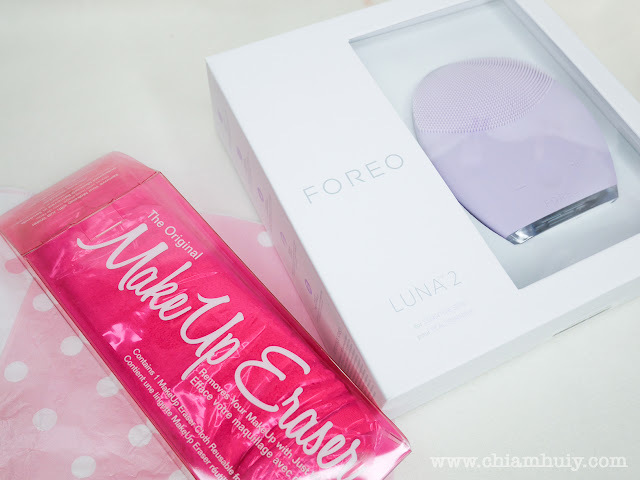 Guess it's time to up my cleansing game again by using this FOREO Luna 2! 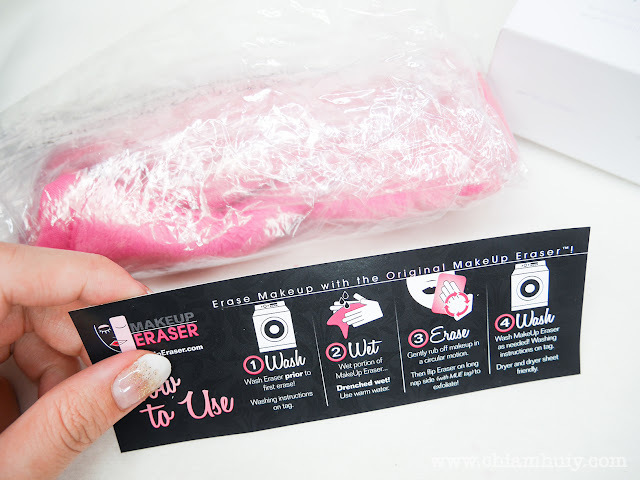 When I first posted this on my Dayre, there were already so many people raving over this product. It's said that this product doesn't even need any makeup remover, and it can remove your makeup just by adding water! Honestly, I can't believe it until I tried it. You may think that there's chemicals in this towel but truth is, it's actually thanks to the way the fabric is created. 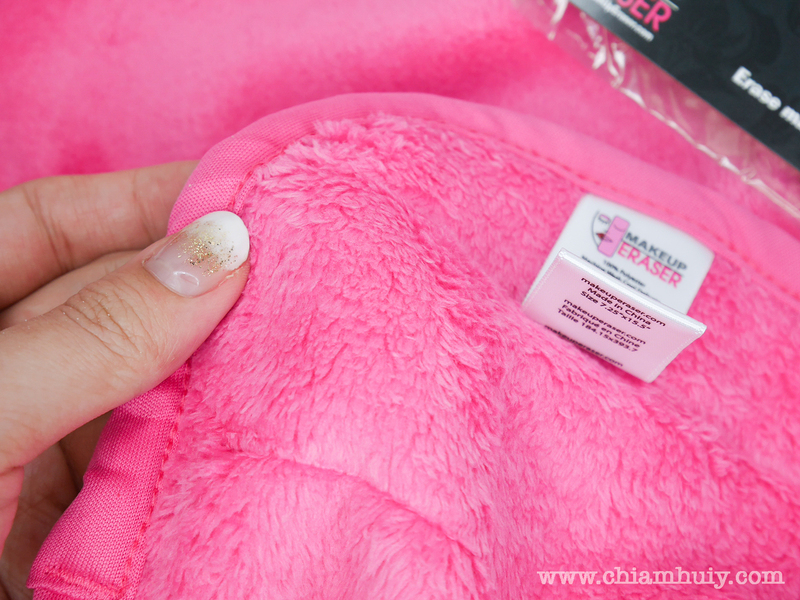 The weaves of the fabric is able to pick up traces of makeup, hence removing it while swiping across the skin. 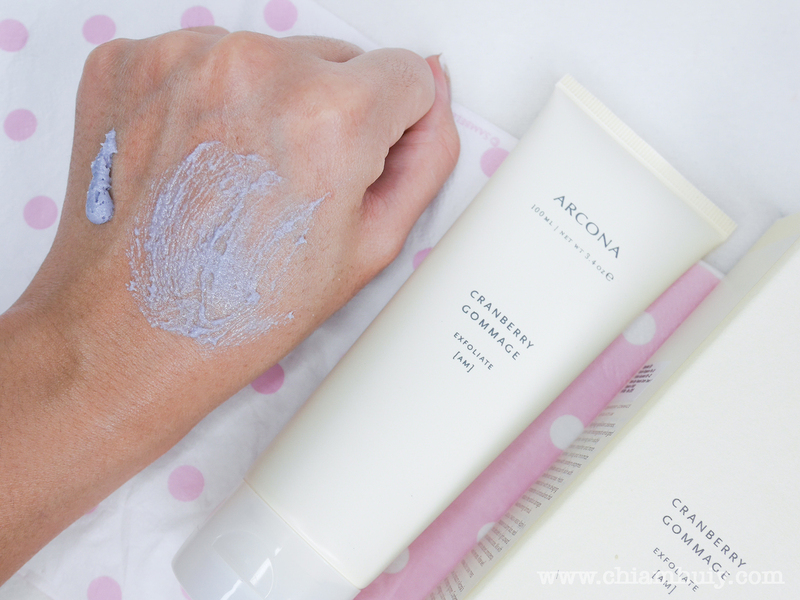 If you're afraid that this may tug your skin, this product is really silky soft so don't worry about it. Of course, do not tug vigorously because your skin will hate you for it. 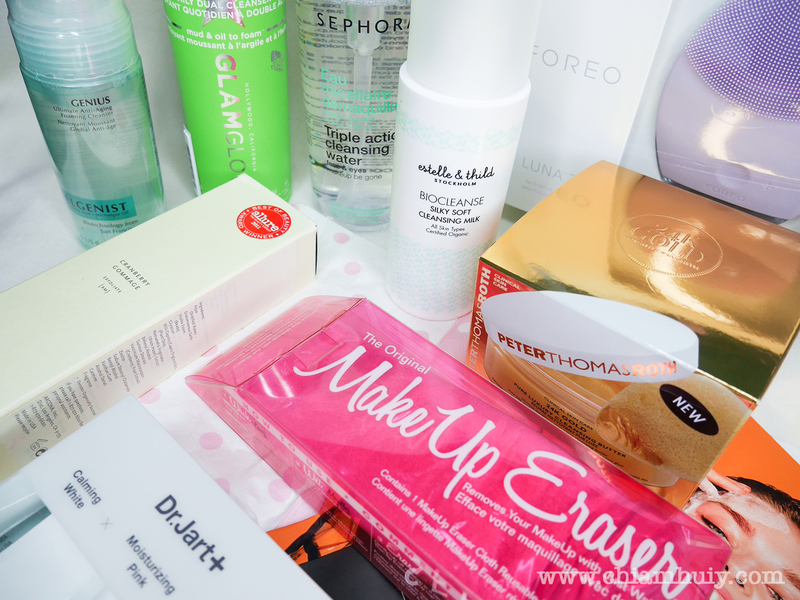 With so many types of cleansers available, what will be your pick? 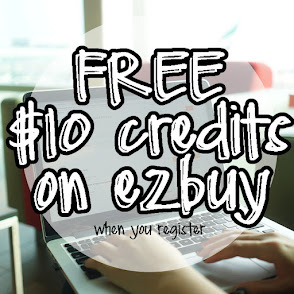 Check them out on Sephora today!